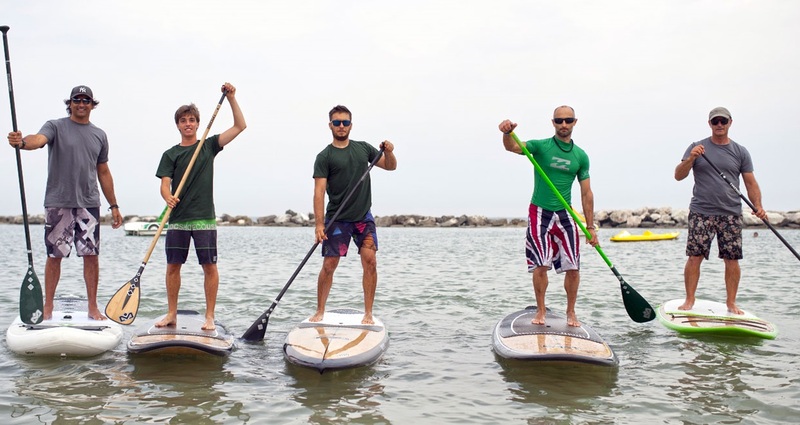 Sup Break package - paddle with us! Feel like SUP and Sea? Come with us to paddle! A holiday is made to switch off. Stop metropolitan stress! Spring everything and come to paddle, a complete sport for everyone. It is the novelty of 2019: holiday and sport in complete relaxation. Only those who have never practiced SUP can not understand its beauty. 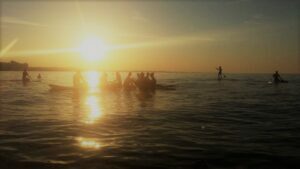 An instrument, the Paddleboard, which allows you to move on the water dominating the element, which allows you to combine another sport such as Yoga or Postural Gymnastics, which facilitates the immersion in the beauty of our sea privileging human contact. Experienced and qualified teachers will follow you from the beginning to the end of your SUP Break accompanying you in this wonderful Sport. And then in the evening? An aperitif on your Pad of course! And the mottled sea of ​​golden scales of a sunset that infuses the horizon. The fiber arrives at Hotel Boston!